The 8k club. PS4 and Wii U switch next week? The streams. About to cross, they are. PS4, yikes. Its going to be one slow long road. PS4 sub 10k as expected. 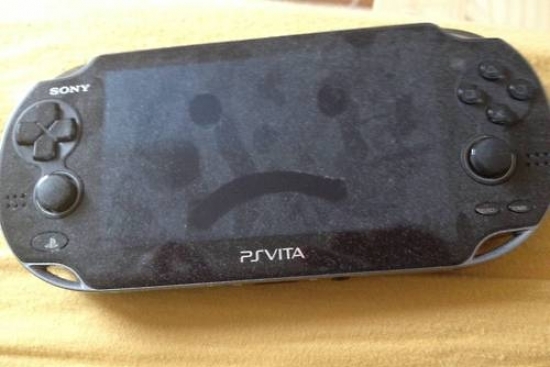 C'mon Vita! Don't fall sub beast mode on me! ;-;. What is the next ''biggish'' release anyway? Freedom Wars? Pretty poor showing, all around. Well, except for dem legs on Yo-kai Watch. Mario Golf in particular is pretty bad. Anyone have numbers for the GBA release? I wonder how many more weeks before 3DS hits 50% of last years LTD.
Congrats to Japan for not falling for the hype. People there apparently have a much better gauge on value than we do. PS4, PS3 and Wii U in the same boat now. Race to the bottom. At least one system is still holding up. PS4 sales are comparable to current PS3 sales, that's telling. Will be interesting to see if the Wii U drops or increases next week. wow at those console sales. Also 730.494 Wii party U on 1.7m consoles? Wow. Didn't expect the 3DS to hold. Yokai Watch passing 1 mil next week. When's the next significant software release for the PS4? Ahh. Good ol' Kirby. Guaranteed hundred of thousands of sales. None but the 3DS and Vita passed the Vegeta test, Japan what is going on? If the PS4 was backwards compatible with the PS3, would the PS3 still be so close to it in terms of sales? Yokai Watch to hit 1 million next week? Hey, it's wiping the floor with those consoles. The PS4 is a disaster in Japan right now. Sony must be prety relieved that it's a resounding success in Europe and North America. how much did PS4 sell total in April for Japan ? It's crazy how Yokai Watch started at 50k and is now selling 59k, nearly one year later. That's some huge legs. The PS4 is pretty dead atm, but I also guess there won't be any turnaround this time. Can't wait to see how the Xbox One puts the WiiU and PS4 to shame :'( that thing will make abysmal numbers on the market. Will Wii U and PS4 cross streams in the next 2 weeks or we have to wait for MK8? This is very sad, and very telling. Looks like SAO will reach 200k LTD, if you include the digital sales. That is certainly nice. I wonder why 3DS held up so well considering it was going to low 20ks before and there were no new releases still. Children still spending their Golden Week money? There's Freedom Wars, I think Girls und Panzer in June (not really biggish but maybe a notable release? ), Oreshika 2 in July, Toukiden: Kiwami and Kantai Collection Kai game some time this year. Kantai Collection Kai might be pretty big, considering how popular the browser game is. I would imagine the game will come out at around same time as the anime will, which is Q3 2014. Yo-Kai Watch hitting 1 million next week? Wii U didn't drop as much as I expected. Hope it holds well until MK8. The PS4 actually has good Western games though. None of the consoles has a good Japanese lineup. I really hope they don't only have The Order and Drive Club for the Japanese holiday season this year. Yeah it is. Which still makes me wonder why many think the PS4 will outsell the PS3 by leaps and bounds; I just don't see the world taking up Japan's slack if the PS4 doesn't turn around massively in the far future (doubtful). Combined with the Wii U global problems, this generation is going to see a massive drop in combined consoles sold IMO. 3DS holds, everything else plummets down into the >10 abyss. Could be the free game initiative? 360 beast mode! I wonder how many units will move the One in Japan.. I wonder why Puzzle & Dragons bumped up. Is Sonic All-Stars Racing Transformed not coming out? It won't move the needle, but that may be what they're talking about.